A real social phenomenon, TV series’ have invaded our screens! So much so that it is difficult to find your way around. How to mix the useful with the pleasant? By knowing how to choose, according to your level, a series that will not only spark your interest but progress your English as you binge. Here is a small selection of series and some tips for while you watch. The pitch: Desperate Housewives takes place in a classic suburb of American residential neighbourhoods. It follows the hilarious daily lives of Susan Mayer, Lynette Scavo, Bree Van de Kamp and Gabrielle Solis, four “desperate housewives”, who also embody stereotypes. Why this series? Underneath a rather classic summary are very engaging plots and very well written dialogues. Undoubtedly because they must embody a certain bourgeoisie, actresses articulate particularly well, and their English is both impeccable and very accessible. For who? For those who are new to the game, who like the thriller side and, why not, who are looking to learn a little more about American middle-class culture. The pitch: Friends is the story of a group of friends, 3 women and 3 men, divided into apartments and roommates. Why this series? 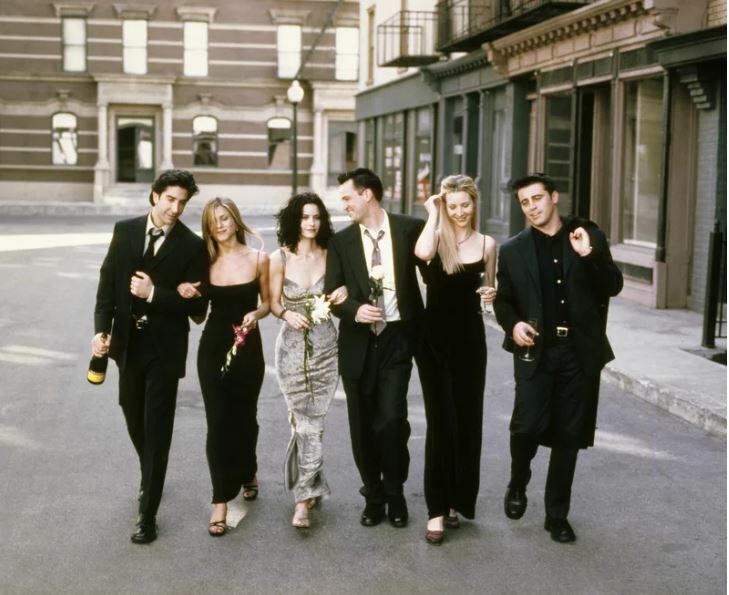 Friends is timeless. The level of English remains accessible, as is the American accent of the characters. In addition, Friends English is a common English, for everyday life, and a lot of jokes! For who? Those who want to laugh, progress in repartee and who do not have a very high starting level. Ideal for oral progress. 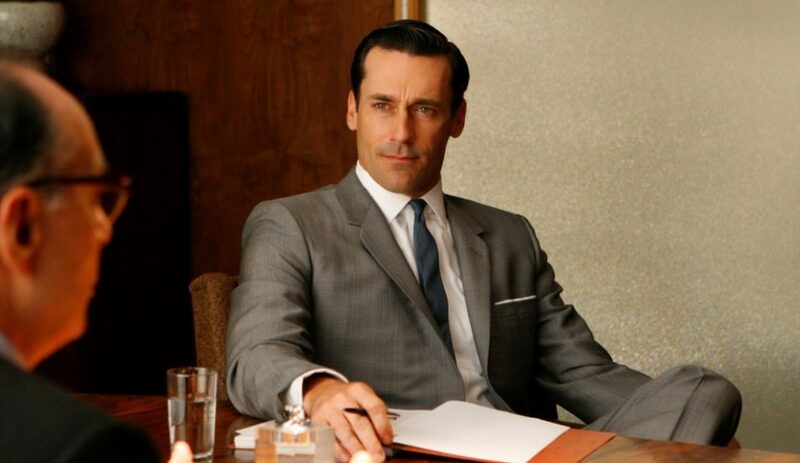 The pitch: Don Draper is a mysterious and troubled man, a gifted advertiser and loved by the – many – women crossed throughout the seven seasons of the series. Mad Men intertwines the life of this executive creative director who worked an advertising agency in New York with the history of the 1960s in the United States: the Kennedy presidency, his assassination, the Cold War, the misogyny and racism that surrounds it, the explosion of television advertising and consumer society and the carelessness about cigarettes and alcohol. Why this series? Another classic. The series deserves to be seen for the background: the parallel between the evolution of its main character and America of the sixties. And for the form: perfect photography, as is the choice of costumes or furniture. Basically, for the visual, social and emotional intelligence of this critically acclaimed series. For who? Because it is a little “old-fashioned”, the English used is of a fairly high level (and familiar in some scenes). It is particularly recommended for marketing and advertising fans. This series is relatively accessible for intermediate level. 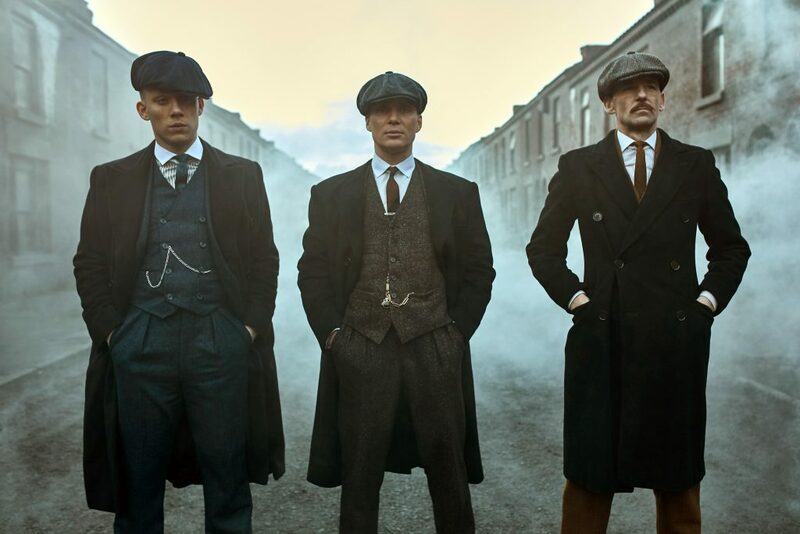 The pitch: Based on the true story of the Peaky Blinders, the series follows a family of gangsters from Birmingham (England) at the beginning of the 20th century. The family, half gipsy, is headed by Thomas Shelby – the brilliant Cillian Murphy – and, obviously, encounters a lot of difficulties and rivalries. Why this series? It is amazing and shot with the qualities of the best films and breathtaking from start to finish! In addition, it will allow you to sharpen your northern English accent and vocabulary. It is difficult at first, but accessible at a later stage. For who? Those who have a few basics and especially want to focus on British English! And for those who are demanding on the quality of the series and love historical detective series. 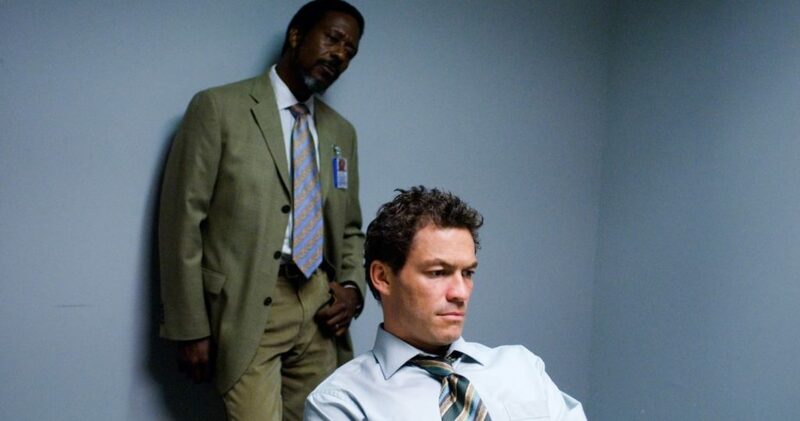 The pitch: Ultra-realistic, The Wire dissects the city of Baltimore. Each season explores an environment, with drugs as a common thread: those who live off them, those who die from them and those who fight them. The first season focuses on relations between the police and dealers, the second on the port of Baltimore, the third on politics and its leaders, the fourth on schools and education and the last and fifth season features journalists and the press. Why this series? Of course, it is from 2002, but rarely series has reached such a high level of quality, in both substance and form. With an almost documentary realism, it tackles the challenges and tensions of American cities. You will learn a lot while being held breathless: the ultimate goal to forget that we are making progress! For who? Last in our top 5, The Wire uses Baltimore slang and is therefore extremely difficult to understand. Reserved for advanced level if you want to try English subtitles or even no subtitles at all. For the others, it is really worth it, even if it means using subtitles in your mother tongue! The importance is to listen to English! For those who are preparing for their IELTS test, this is really useful to improve your listening skills! – 3rd time: for the bravest, in English only without any subtitles! Feel free to watch a series in English that you already know in your language, you will be less frustrated if you don’t understand certain details or expressions and it will be easier for you to make the link between English and your language vocabularies. You can subscribe to fleex.tv, an online service that offers series and movies with subtitles adapted to your level and allows you to retain new words and expressions without interrupting the video. Don’t be discouraged! You will see, once you switch to the English version, it is almost impossible to go back! Hearing the real voices of actors gives a more realistic vision of a series. Even if you have trouble understanding at first, you will get used to the accents. Without realising it, you are going to make huge progress! And you, what is your favourite TV show?